We bring together families living with deafness through organised children’s activities and family sessions. We welcome all deaf children, their siblings, parents and grandparents, together with deaf adults and their children whether hearing or deaf. Extended family and family friends are also welcomed to many events. We provide a range of fun activities and learning opportunities for the children. 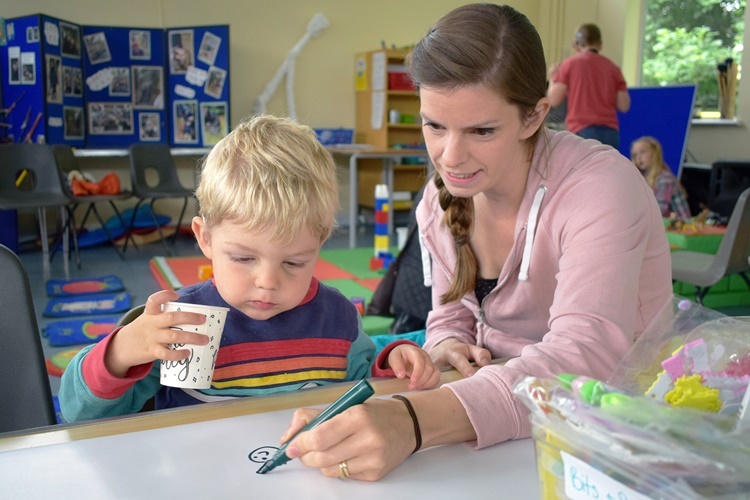 Our sessions are designed to include and engage all the children attending whatever their level of hearing and whether they use hearing aids, have cochlear implants or sign. British Sign Language (BSL) communication is always available from staff, volunteers and/or interpreters. At every family activity there is an opportunity for parents and carers to come together with other families so they can meet those in a similar situation and benefit from their knowledge, experience and support. This will allow them to get a fuller picture of the choices available to them and their children, and understand the practicalities of these options. This year we have organised trips to local leisure centres, archery lessons, water sports, a course of outdoor activities, a trip to the theatre and regular cinema trips for the children. For the families we have had an Easter egg hunt, a Summer fair, day trips to local parks and monthly coffee mornings for all the family with more workshops for the children. We run both our own events and work with others organisations to improve access to current community facilities. We are just about to start running a BSL choir for both children and adults and restart our BSL courses for children and adults.